At Screaming Chimp HQ, we think it is important to supply the best product possible, so we only use the best produce for the job. Mrs Chimp and I make small batches from our kitchen at home, which brings us immense joy. I have always had a passion for cooking, so when an old friend kindly gave me some of his chilli seedlings, which grew big and produced lots of chillies, I knew what I had to do. Using home grown chillies and as many locally sourced ingredients as possible, I set about developing my sauces into the mouth tingling range we have today. The only problem was what to call them. That serendipitous moment came along when visiting friends (you know who you are) and teaching their children how to blow on a blade of grass between two thumbs to make that strange noise we all know …..“That sounds like a screaming chimp”..…. “SCREAMING CHIMP!! That’s an awesome name. Perfect…that’s what I’m calling the sauces”. 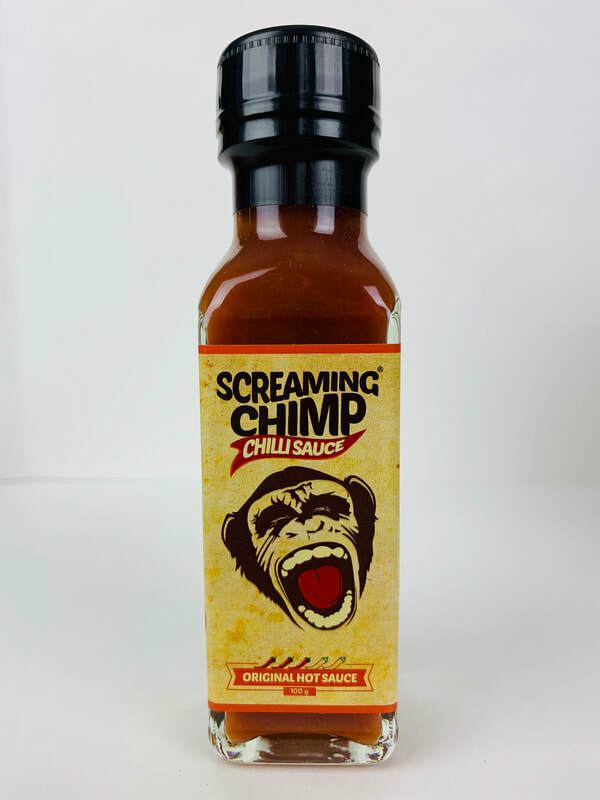 So, now we couldn’t be happier making our troop of artisan Screaming Chimp Chilli Sauces . 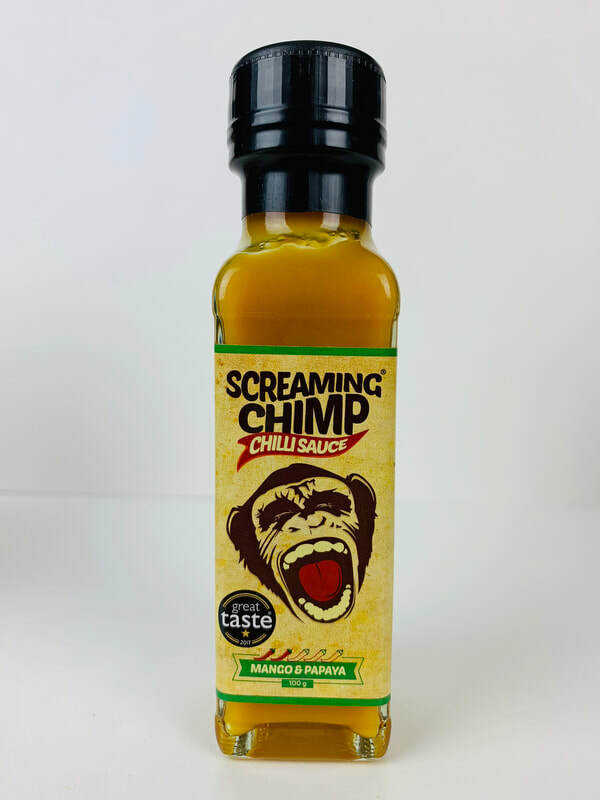 ORIGINAL HOT SAUCE from SCREAMING CHIMP CHILLI SAUCE.. 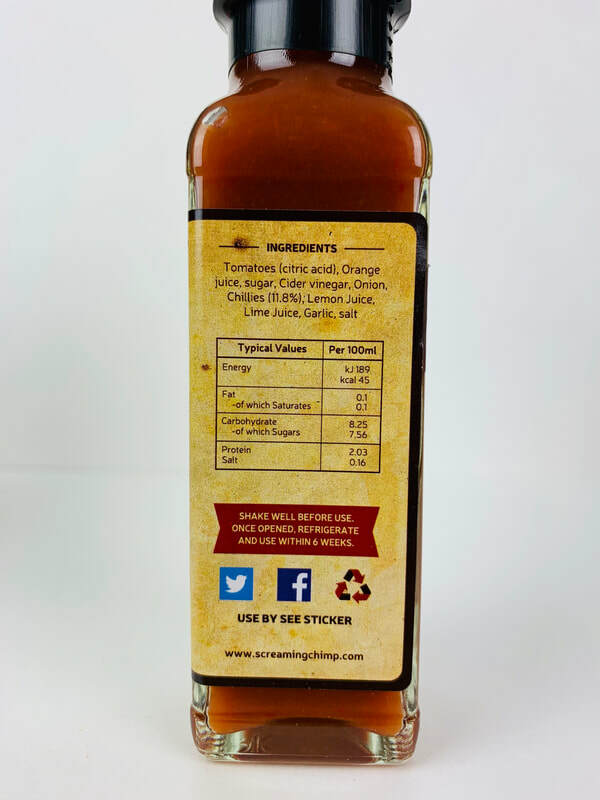 This sauce has a citrus flavor coming from Orange and lemon juice, sweetness from honey and great pepper flavor coming from Bhut Jolokia, Trinidad Moruga Scorpion, Fatali, Scotch Bonnet and Aji Lemon Chillies. A slight smoky flavor form chipotle powder and the great taste of garlic and tomatoes. You can pour this sauce on anything to add a great flavor and heat. 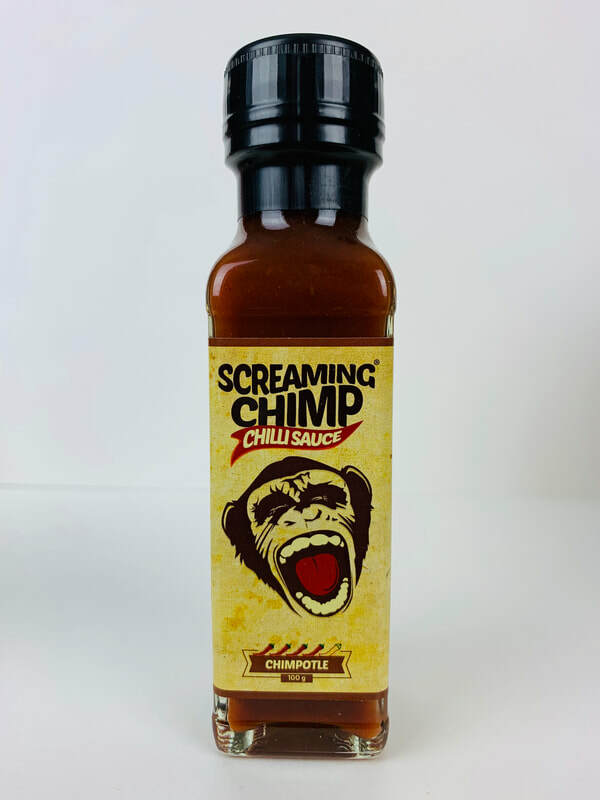 This is the sauce that started it all for Screaming Chimp. Definitely keep this on on hand, its mild heat and flavor can be loved by anyone! PINEAPPLE from SCREAMING CHIMP CHILLI SAUCE.. WOW!! This is pineapple done right. Nothing added to change the flavor of the sweet pineapple. 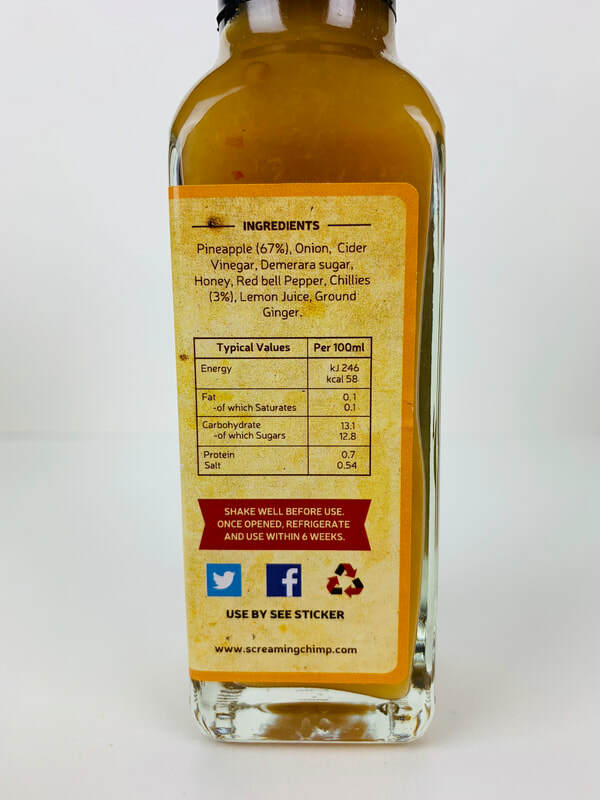 With just a hint of cider vinegar, a dash of sugar, honey, Aji Lemon chillies, lemon juice and ground ginger. What a fantastic mix of flavors! Great on chicken, shrimp, "my favorite" pork chops! Add to creamed cheese, use as a marinade or just pour it on, it will be loved for sure! Don't forget ice scream! VIC'S "OL'SMOKEY"from SCREAMING CHIMP CHILLI SAUCE.. A very mild sauce in both flavor and heat. Nothing over the top. A sauce with the beginner in mind, so don't be shy grab yourself a bottle and get pouring. You will find tomato and onion, mixed with sugar, a splash of white wine vinegar, lemon juice and the great flavor of smoked paprika chillies, garam masala, caraway and garlic. There is a slight heat coming from Birdseye chillies, but only in very little moderation. Its more like a condiment, then a hot sauce. But thats why this is a great beginners hot sauce. Pour it on burgers, hot dogs, fries, fish, mix with horseradish for an awesome cocktail sauce for shrimp. 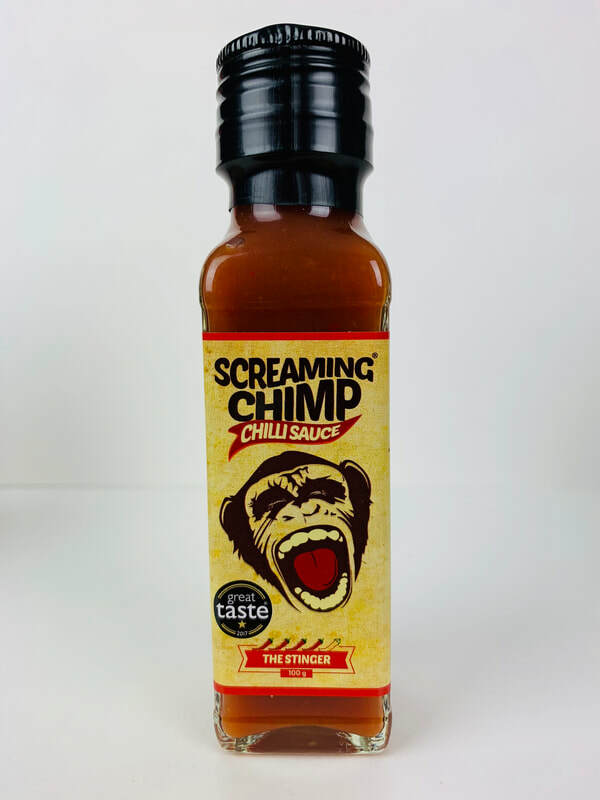 THE STINGER from SCREAMING CHIMP CHILLI SAUCE.. The name is perfect, this one will definitely sting you. The burn is evenly distributed throughout your mouth and down your throat because of the different types of burn you get from the Trinidad Moruga Scorpion and Bhut Jolokia peppers. Along with the great pepper flavor you will also get Tomatoes, orange and lemon juice, sugar, cyder vinegar, onion and garlic. 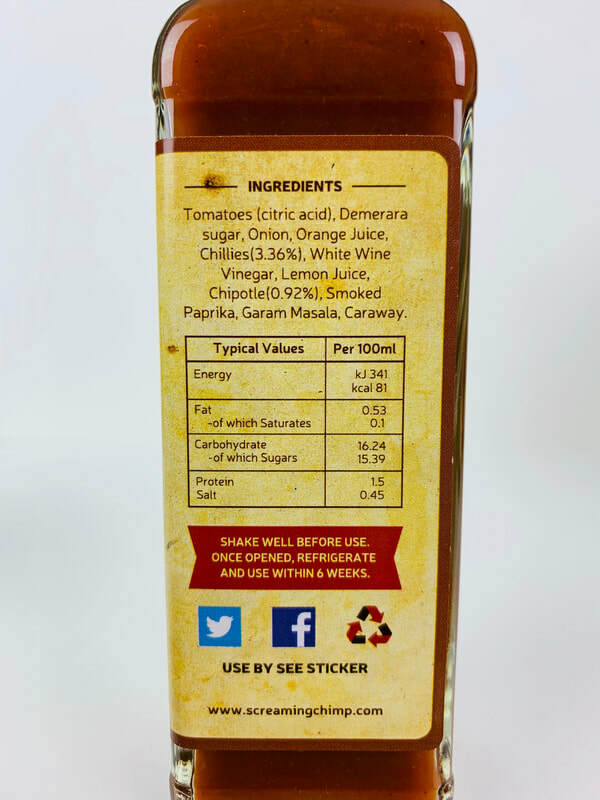 This sauce makes amazing hot wings, add to bbq sauce, pour it on, or mix it in your favorite dressings. 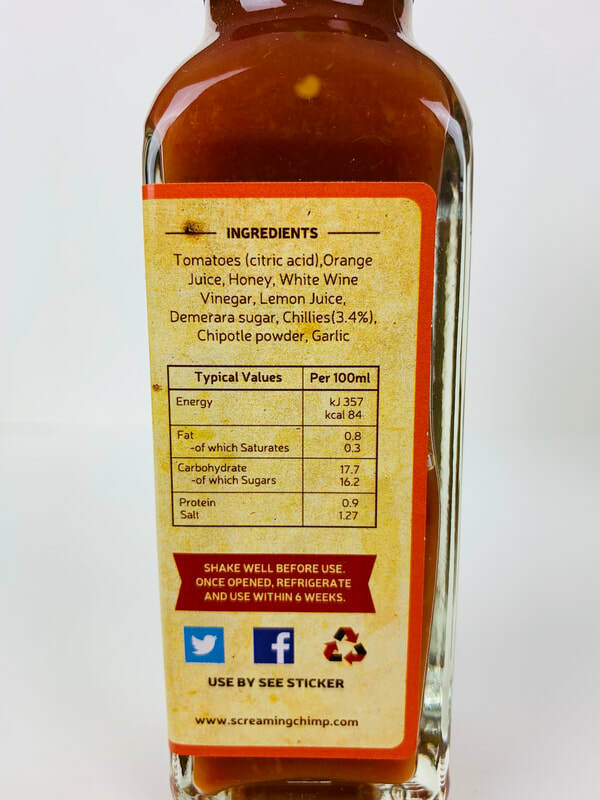 I'm sure all chilli heads will love this sauce! 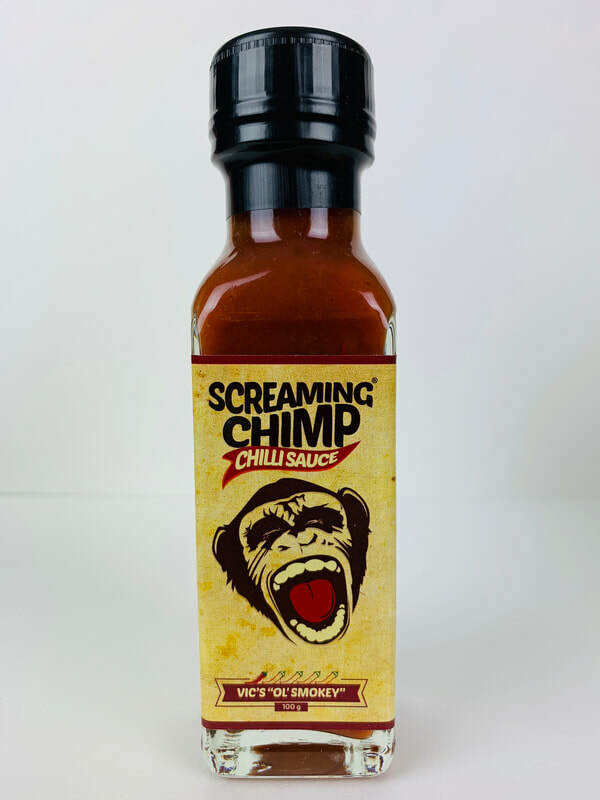 CHIMPOTLE from SCREAMING CHIMP CHILLI SAUCE.. This is a combination of the best of VIS'S "OL'SMOKEY" and THE STINGER. The mix is wonderful! The smooth flavor of VIC'S "OL'SMOKEY" added to the up front chilli pepper flavor and heat coming from THE STINGER. 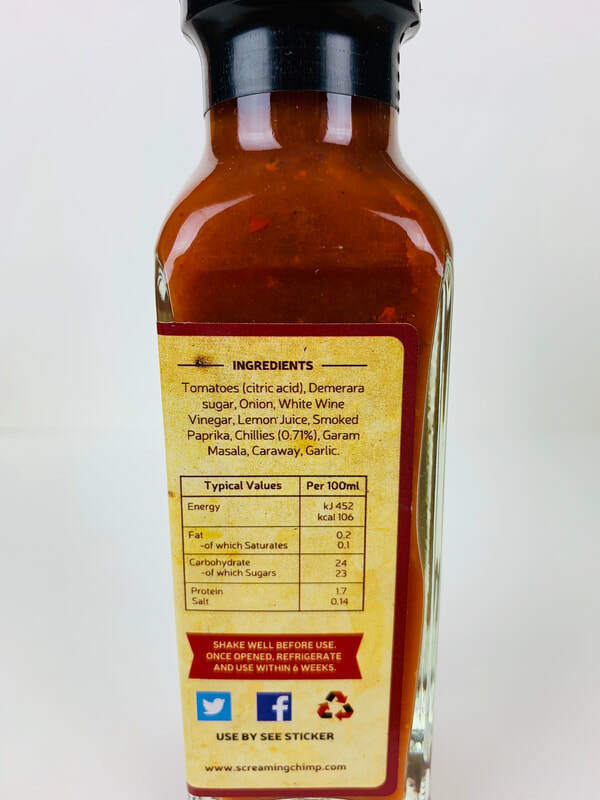 The smokiness and tomato flavor with the sweetness and heat, makes this an awesome sauce to pour right on your food or spice up your wings, meats, veggies, or use as a bbq sauce. This is definitely a winner! 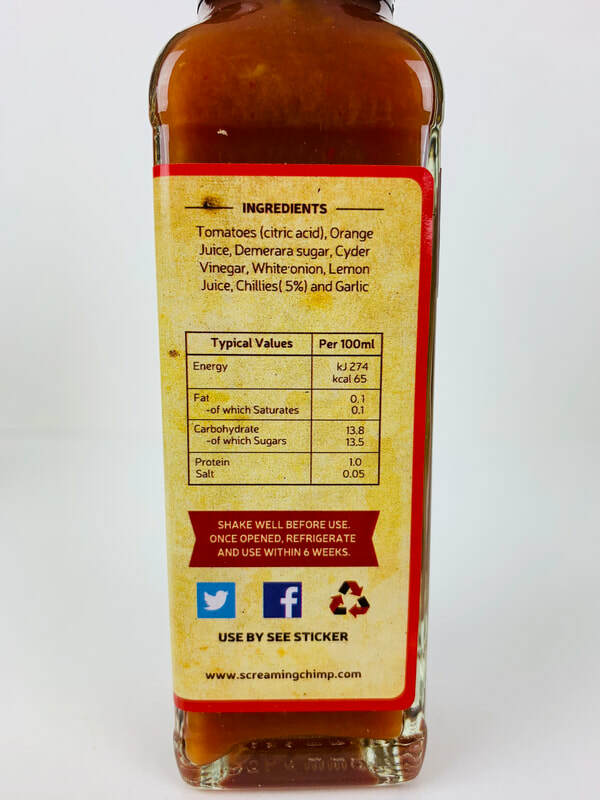 MANGO & PAPAYA from SCREAMING CHIMP CHILLI SAUCE.. Get ready to enjoy a tropical delight of flavor. 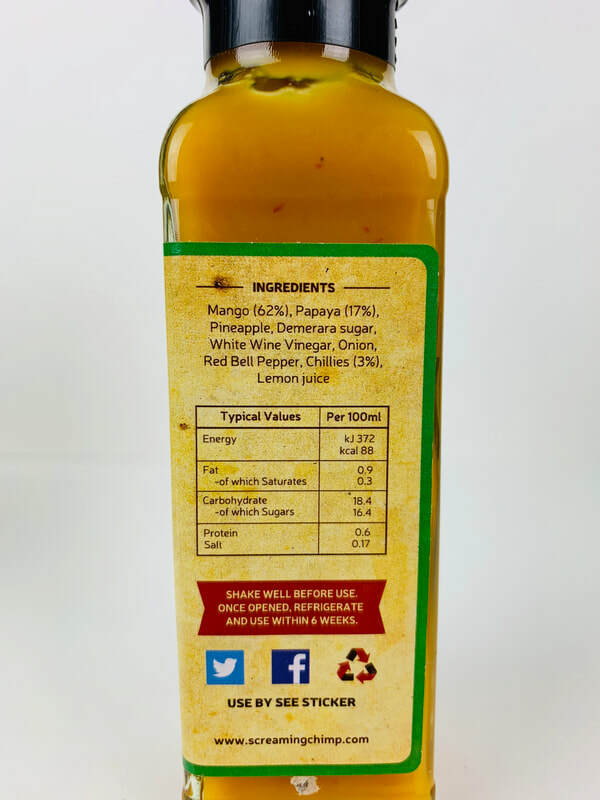 At first taste you know that this is a Mango and Papaya hot sauce. The emphasis of this sauce is definitely the tropical fruit. Sweet Pineapple, sugar, white wine vinegar, red bell pepper, Aji Lemon chillies and lemon juice are added to the Mango and Papaya. All mixed together to make your taste buds come alive. This is a mild sauce bursting with flavor. Pour it on fish, shrimp, ice cream, mix in creamed cheese to add to your morning bagel or toast, add to wings, pork and so much more. I totally love this sauce. 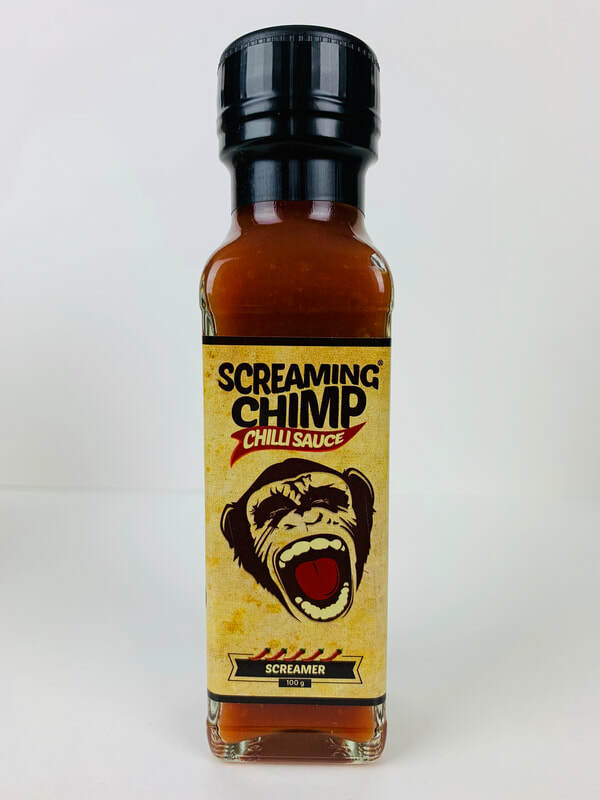 SCREAMER from SCREAMING CHIMP CHILLI SAUCE.. This is similar in flavor to THE STINGER. But with the differents added from replacement of chillis. THE STINGER uses the Trinidad Moruga Scorpion and Bhut Jolokia peppers. But the SCREAMER uses the Naga, Reaper, Moruga and Habaneros. Just this slight difference make a tremendous flavor addition. 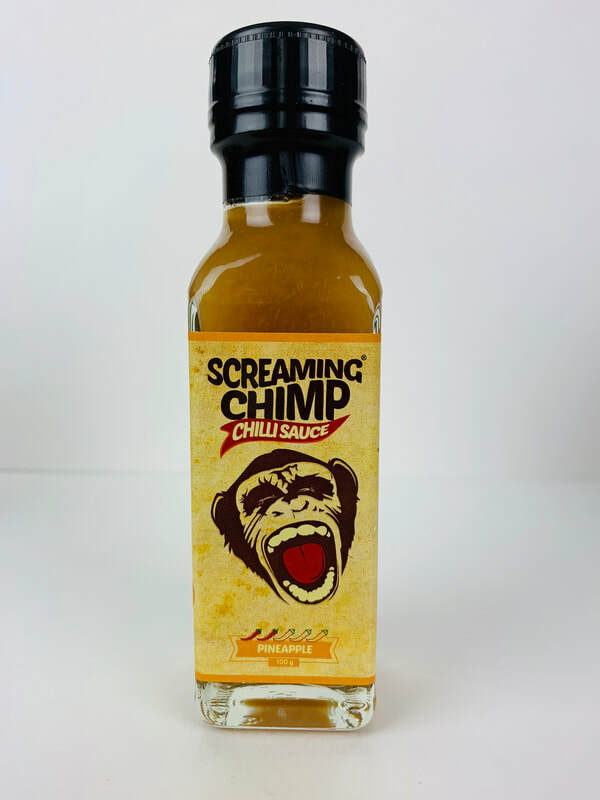 Besides having much more heat, the flavor of the hot peppers brings this hot sauce to a entirely new flavor profile for Screaming Chimp. If you love the up from super hot chilli flavor then this on is for you. Just like all of Screaming Chimp sauces, pour it on and enjoy the flavor and in this case the burn!